Our most clicked link this week was a cool tip on How to Make a Deer Head from Penny at Penny’s Vintage Home! This is a fun idea for reusing those old yard decorations you don’t want anymore! 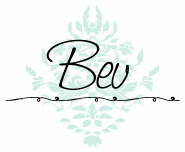 Thank you for hosting, Bev. Have great weekend! Thanks for hosting Bev ;) Have a blessed week! Thanks Bev I hope you have a wonderful week! thank you so much for letting me be a part of your wonderful parties each week! :) so many cool ideas to look at-i love it! Hope all is well. Thanks for starting out our week with a par-tay!